Florida law allows consumers to receive compensation when they are injured by a defective product. Most new products are sold under warranty, which will pay compensation to replace the product. But what happens if you suffer horrific physical injuries, such as burns, cuts, nerve damage, or brain injuries? According to the Consumer Product Safety Council, kitchen appliances and gadgets cause over 800,000 emergency room visits in a year—so your chances of being injured in your kitchen are not remote. In 2000, these accidents caused 369 deaths and required over $25 billion in medical care. As experienced product liability attorneys, we can review your case to determine if you can sue. Fortunately, Florida’s laws are fairly liberal and allow you to sue people up and down the product distribution chain, including retailers, wholesalers, and distributors in addition to the manufacturer of the defective appliance or gadget. Any appliance that has its goal of heating up food is a potential burn hazard. 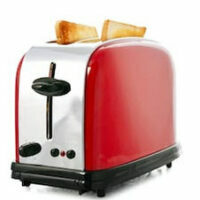 With toasters, faulty wiring can cause the toaster to catch on fire or explode, leading to burn injuries. You can also be electrocuted by a malfunctioning toaster, which can also cause brain injuries and internal burns. Appliances that are taller than they are wide are at an increased risk of tipping over. Refrigerators are a prime example. Unstable refrigerators could overturn and crush or kill small children. Kitchen ranges are also a risk of toppling over. Freezers are meant to keep food from spoiling. But when a freezer is defective, it can cause mold and other bacteria to multiply, leading to food poisoning. Other freezers and refrigerators can cause a burn hazard if there is a problem with wiring. For example, Haier recalled about 140,000 of its top-mount refrigerators because of a problem with short circuiting, which was a fire hazard. Food blenders have many different moving parts, some of them very sharp. When a blender is defective, it can explode, and consumers can be injured by the blades. In 2018, Vitamix recalled over 100,000 blender containers, which had a risk of separating from the blade base. If you or a loved one was injured by a kitchen appliance, you should immediately receive medical attention. The sooner an injured person receives treatment, the greater their likelihood of limiting their injuries. Go to the hospital or call the ambulance, if necessary. Also save the product that injured you. For example, if a toaster caught on fire, don’t toss it in the dumpster. Instead, preserve it so your lawyer can take a look. You will need to show that a product was defectively designed or manufactured, and we will need the product that injured you to help build a case. Bundza & Rodriguez, P.A. is a leading Daytona Beach personal injury law firm that has helped our clients receive millions of dollars in compensation when they are accidentally injured. If you have medical bills from a kitchen appliance accident, you might be able to seek compensation. Please contact us today at 386-252-5170 to schedule a free consultation.